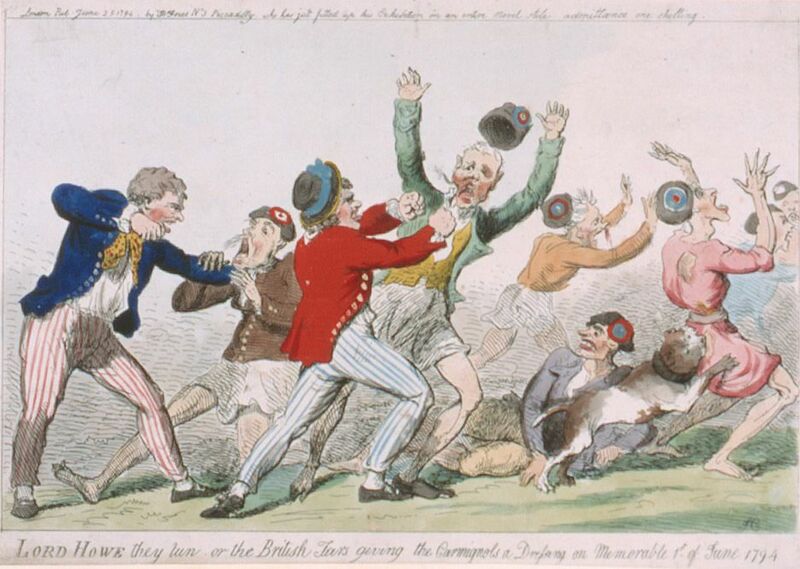 Colour cartoon commemorating Admiral Lord Howe's victory over the French, 1st June 1794. British and French sailors are pictured fighting with fists. To the right french sailors are seen fleeing and a bulldog is seen biting the rear of one of them. This LORD HOWE They Run or the British Tar Giving the Carmigrots a Dressing on Memorable 1st June 1794 Art Print is created using state of the art, industry leading Digital printers. The result - a stunning reproduction at an affordable price.